Before they starred together in The Expendables, or went into business together with Planet Hollywood, Arnold Schwarzenegger and Sylvester Stallone were in a Hollywood arms race. 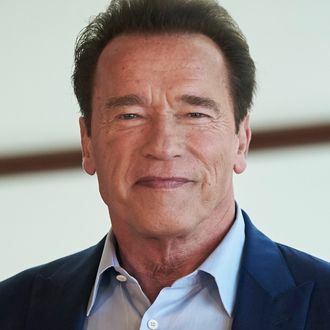 “I’m so glad we straightened out our mess because it wasn’t pretty,” Schwarzenegger told the audience at Beyond Fest 2017, Slashfilm reports. “We were attacking each other in the press relentlessly.” According to the Terminator, the rivalry — which involved one-upping each other in their respective action franchises with bigger weapons, less body fat, and more “unique” kills — even went so far as to include some career sabotage. So I went in — this was during our war — I said to myself, I’m going to leak out that I have tremendous interest. I know the way it works in Hollywood. I would then ask for a lot of money. So then they’d say, “Let’s go give it to Sly. Maybe we can get him for cheaper.” So they told Sly, “Schwarzenegger’s interested. Here’s the press clippings. He’s talked about that. If you want to grab that one away from him, that is available.” And he went for it! He totally went for it.